Wondering how to save money on a men’s suit? 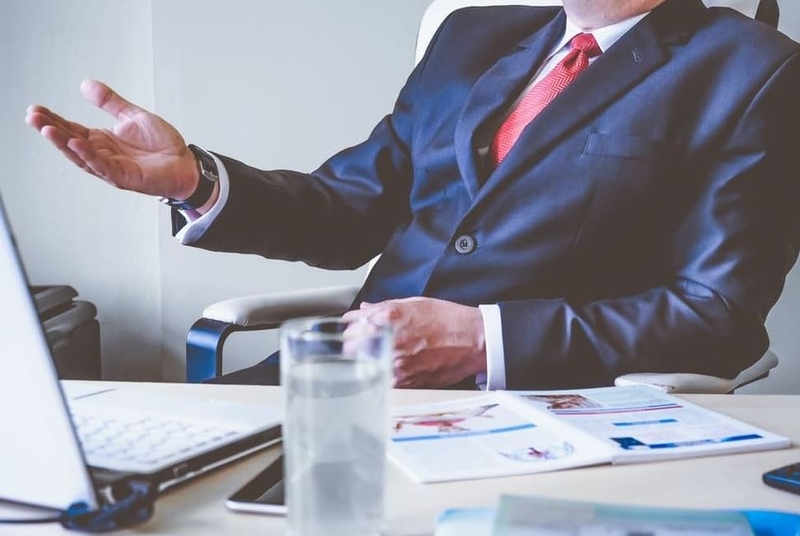 Men’s suits are not only a standard wear for social events and special occasions – they are also needed for corporate jobs and job interviews. Therefore, every man should have at least one great suit in his closet. 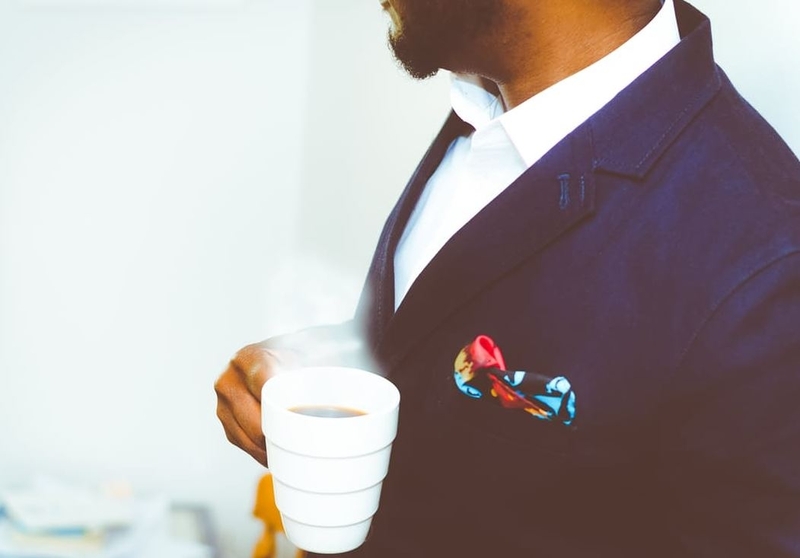 And even though men’s suits are generally quite expensive, buying a new one doesn’t have to be a serious investment. There are still ways to purchase a nice-looking suit on a tight budget. With that being said, in today’s guide, we’ll show you how to save money on a men’s suit. This post has been sponsored. But first, let’s take a look at the three most important things you should consider when buying an affordable men’s suit. 1. Measurements – Before purchasing a cheap men’s suit you need to know your exact measurements so that the suit can fit you perfectly. Just two inches either way on the chest will definitely ruin your look, and you’ll have either too baggy or too tight of a suit. Slim fit suits are fitted closer to the body, without excess fabric. They are designed for lean men who are in a great shape. Classic fit suits are designed for bigger guys who want to maintain a clean body shape with less constriction. It’s easy to wear them and they are quite comfortable. Modern fit falls somewhere between slim and classic fit – it is not too boxy and has more room than slim fit. A modern fit is a great option for men who want to look sharp but simply can’t pull off a slim suit. 3. Fabrics – When purchasing a cheap men’s suit, the fabric should be the primary concern. It determines how luxurious or comfortable the suit feels and how you need to take care of it. With that being said, every fabric is different and has its pros and cons. Polyester Suits – suits made with polyester should be your last choice. And even though they are cheap and come in a variety of styles, they are not breathable and often have a strange sheen to them. Compared to all other fabrics, polyester suits look cheap, which is definitely not your goal. Cotton and Wool Suits – most suits are made with cotton and wool – the two breathable fabrics that regulate temperature well, look professional and stylish, and last several years. And the best part – they are really affordable. In fact, men’s suits made with either 100% wool or 100% cotton cost only a few hundred bucks, which is in everyone’s price range. You can find even cheaper suits by purchasing a custom wool or cotton blend. Wool and cotton can be blended with different types of less expensive material like polyester, spandex, Lycra and rayon, which reduces the cost of the suit. However, suits made from cheaper cotton and wool blends are less comfortable, don’t breathe as well, and drape in a less flattering way. With that being said, they are still a better choice than polyester suits. Linen Suits – breathable and lightweight, linen suits are relatively inexpensive. The material is sturdy and strong with a soft feel, but tends to wrinkle easily. Linen suits are ideal for sweltering climates and outdoor events during summer. They are prone to stains, so you can expect larger cleaning bills. Silk and Cashmere Suits – If you want to save money on a men’s suit, then you should definitely stay away from these two fabrics. Suits made with silk and cashmere are comfortable and breathable and manage to keep the body warm in the winter and cold in the summer. And even though they are not in our price range, there is a way to make them more affordable. Cashmere and silk are often blended with cheaper fabrics like wool and cotton, which can reduce the price significantly. Therefore, when it comes to fabrics try to avoid polyester suits and don’t be tempted by their cheap price. Linen suits are only good for summer, while cotton and wool suits are your best choice if you can’t afford silk and cashmere suits. Now that we’ve got the basics down, let’s get to it. New Suit With Tags – this is what we consider a brand new suit that you see in the store. It has never been worn, except by the customers who tried it on. A New Suit Without Tags – this is basically a brand new suit, with the only exception being it’s lacking the tag. There could be many reasons why this occurred – the primary one being that someone else bought the suit, didn’t like it, and decided to return it. A New Suit With Defects – Sometimes an item arrives at the store with a defect or a small imperfection that could ruin a reputation of the retailer. To avoid this from happening, these items are put into a special place in the store called clearance section and their price is significantly reduced. When it comes to men’s suits, these defects can range from missing buttons to loose seams. 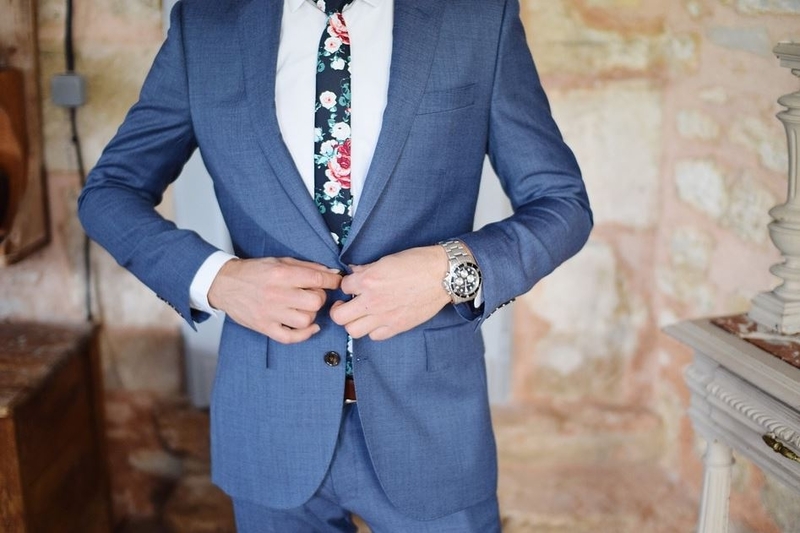 Therefore, you should determine the current condition of the suit by inspecting it carefully to see whether or not the defect can be fixed and how much it will cost. If you are shopping online, the seller should provide pictures and explanations regarding the defect. If the defect is fixable and the suit looks great, you can purchase it for less than half of its original price. A Pre-Owned Suit – if you don’t care whether or not you are the first owner of a suit, you should look for pre-owned suits that come with the lowest price. In fact, buying a pre-owned suit is an amazing way to get the quality you want for the price you can afford. However, you need to make sure that the pre-owned suit isn’t worn to pieces and can still look as brand new after dry cleaning. Today, it seems that everything is cheaper online, and men’s suits are no exception. Therefore, before visiting your local stores and paying more than you should on a men’s suit, make sure to browse the internet and find the best deals. Websites like Amazon and eBay are exceptional sources for finding affordable suits that often cost significantly less compared to the prices you’ll see at the stores. This is especially true if you can find a seller that offers free shipping. For example, eBay has the option to filter out the results and display only the sellers that offer free shipping. Something similar can be found on Amazon, so before ordering a cheap men’s suit, make sure you won’t pay for shipping. In case you can’t find the perfect suit that comes with free shipping, consider finding nearby sellers. 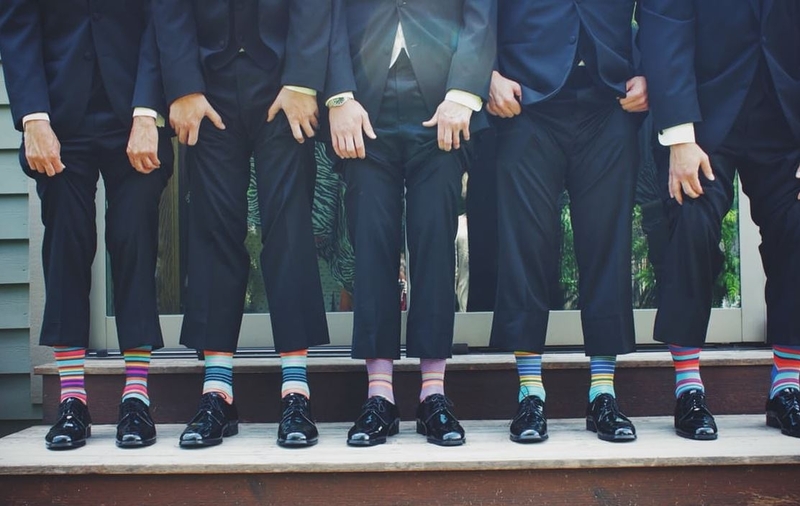 Zappos – owned by Amazon, this discounted retailer for brand shoes became a perfect place for purchasing affordable men’s suits. They offer special discounts on brand name suits and the lowest price tag starts at $100. Nordstrom – famous for in-house brands and amazing sales, Nordstrom is an ideal place for purchasing affordable men’s suits. Their house brands like Calibrate and 1901 offer cheap men’s suits that everyone can afford. Target – known for its fashionable men’s line of clothing and brand name suits, Target has an affordable line of suits that cost only $100. Macy’s – if you are trying to save money on a men’s suit, then you should definitely consider shopping at Macy’s. This bargain store is known for offering affordable men’s suits that fit all body types. To save even more money, wait for Men’s Wardrobe sales when the store offers special discounts on already cheap men’s suits. Amazon – it comes as no surprise that this online marketplace is also on our list. In fact, Amazon has an entire section dedicated to fashion where you’ll be able to find cheap men’s suits. They sell hundreds of suits, but you can filter them by typing specific phrases like “cheap men’s suit” or “affordable men’s suits” and you’ll only see the ones with the lowest price tag. In general, their price starts at $100 and goes up to $500. When buying an affordable suit, you should also take into consideration its versatility. Simply put, you need to find a suit that can be worn for many different occasions. For example, light-gray and navy blue suits are ideal for several events, including weddings and job interviews. Buying the suit pants separately from the suit jacket can sometimes save you a lot of money. In addition, by purchasing two completely different jackets and only one pair of pants, you’ll have two different looks for a significantly lower price. Just make sure to stick with basic colors like navy blue, gray, or black for easy matches. We recommend buying the pants first and then matching the jacket to create the perfect look. You don’t have to break the bank to purchase a nice looking men’s suit. In fact, by applying the above-mentioned tips, you’ll be able to find an affordable men’s suit that looks and feels great. Just remember to pay attention to your measurements, fit, and fabric and purchase the suit that flatters your body. The internet is full of amazing deals and you should be able to find cheap men’s suits within a few minutes.